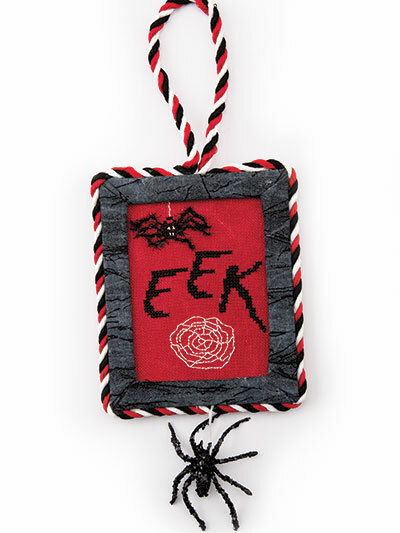 You will roam through a house and garden filled with spooky surprises with the 20 ornaments and 30 larger designs inside this special issue of Just CrossStitch! 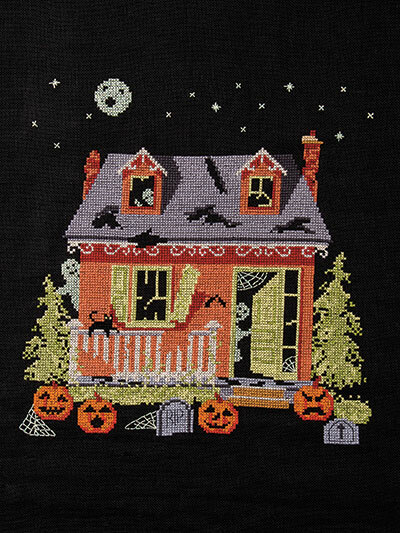 With a focus on decor "Around the House," you can give every room that spooky Halloween vibe with your hand-stitched pieces. 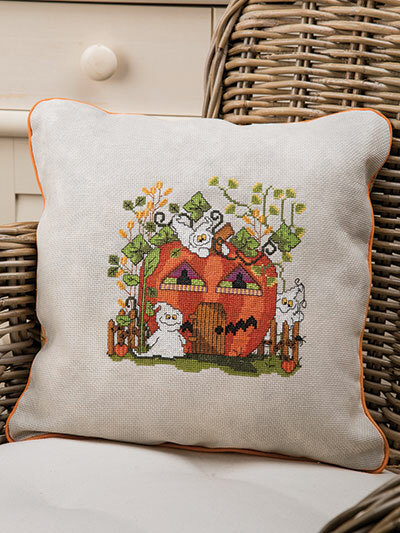 Find haunting and whimsical cross-stitch pieces in chapters such as At the Front Door, In the Kitchen, On the Roof, and In the Garden! 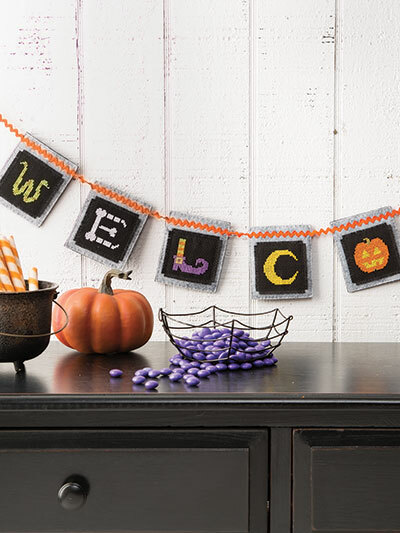 Stitchers of all skill levels will find projects with a fun and ghostly theme, from ornaments for a Haunted Birdhouse or a Creepy Treats Jar, to designs for pillows, jewelry, a table runner, and more! 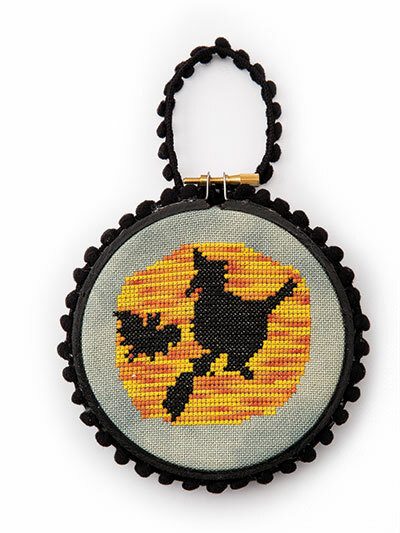 Don't miss out on everything you need to create the perfect cross-stitch Halloween -- get your copy today! Very disappointed. First, that the Halloween edition isn't automatically included in my subscription, whereas the christmas issue is - I don't do christmas. 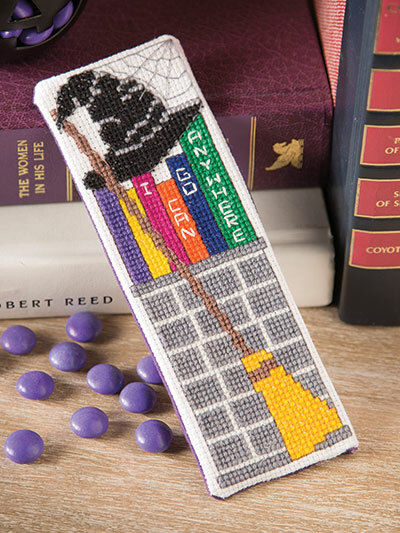 Second, that the projects were so - well, the best word I can come up with is 'middle-class'. 'Mundane'. 'Blah' fits right in there, as well. 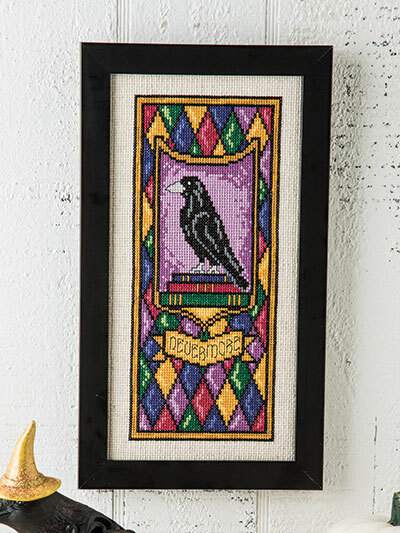 I do a lot of blackwork embroidery. 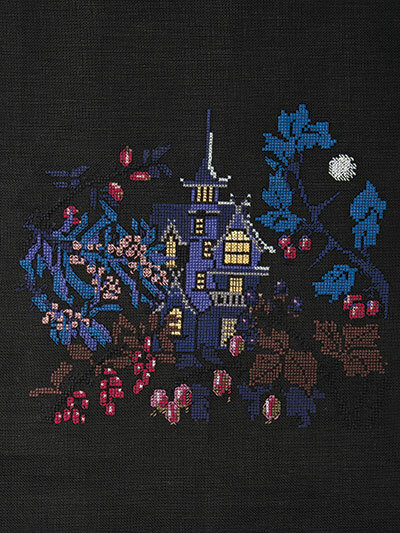 Until now, I have been able to count on your Halloween magazine to provide me with at least one complete black project, either in cross stitch or in blackwork. This edition contains not a single one. 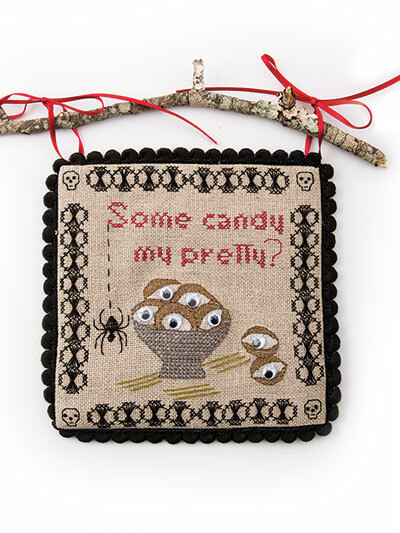 There are a couple that I might stitch in the future, but nothing to get excited about. Next year I shall be more vigilant about searching the shops to make sure I can look through the magazine before I decide whether to buy it or not. 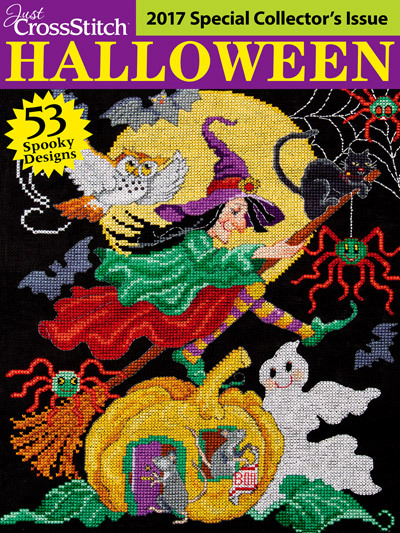 Sad to say that I was quite disappointed with this Halloween issue. 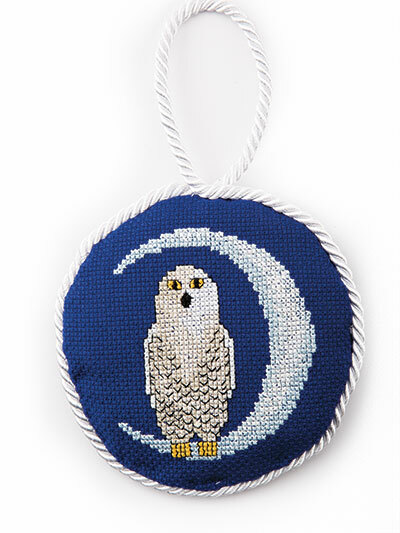 Generally I am chomping at the bit to see whats in store this year. Projects are not my cup of tea. The larger pieces again disappoint.There is a possibility that I might do two of the projects maybe. Hope next year proves to be a better buy. 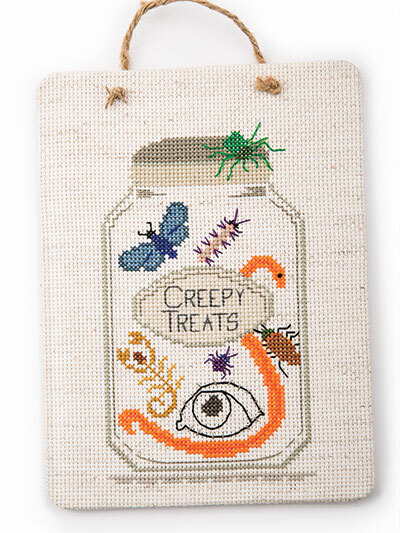 Every year I order this special Halloween edition of Just Cross Stitch magazine. I am very pleased with the variety of projects ideas. 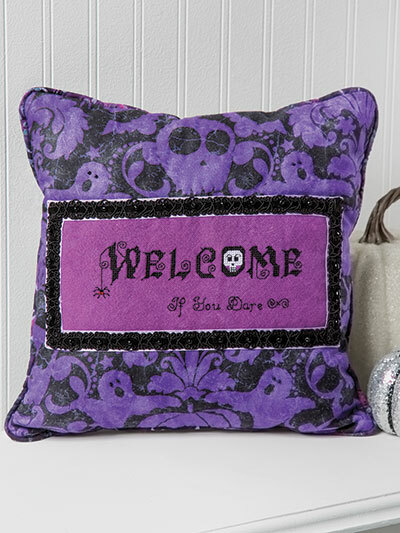 Lots to choose from, from quickie beginners to more elaborate treasured pieces. 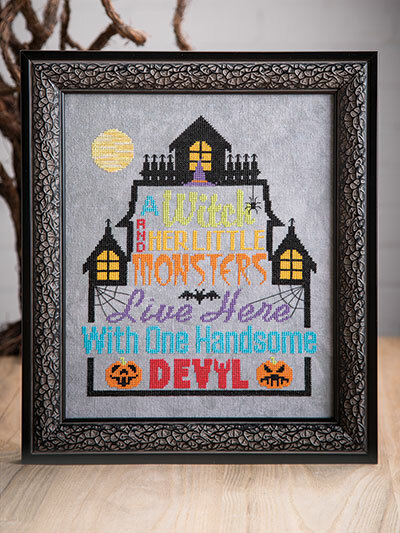 Halloween is my favorite time of year, and a perfect time to cozy up to stitching. I always love getting this issue. 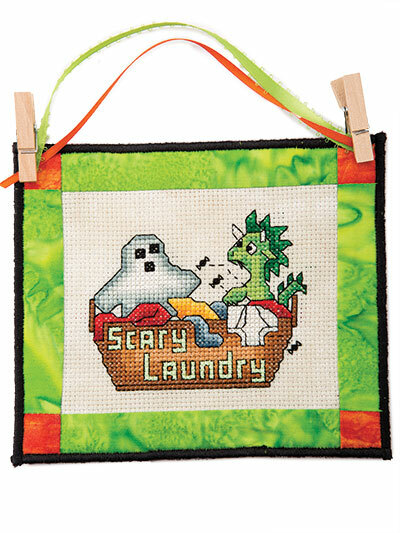 It inspires me to get started on my fall crafts so that they will be ready to use come September. 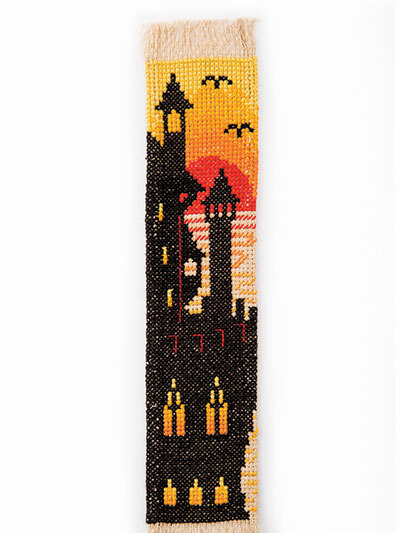 I love this cross-stitch magazine. The colors are so bright. I already have two pictures picked out to make for my sister. We both love Halloween.